Las Vegas – a place for most entertainment forms from show girls to sport events but when it comes to music you may have a lot of venues to choose from. This bright light city has seen many big names pass through its arenas from Elvis Presley to Celine Dion; so to help you choose somewhere that is good for a musical evening but also a unique place/experience here are a few that I think you may want to check out. All music aficionados planning Las Vegas holidays should definitely check out these unmissable venues. The MGM Grand Garden arena is part of the MGM Grand hotel Casino establishment and holds over 16,000 people, hosts concerts and sporting events. It is better known for being the home of the Billboard Music Awards and its eclectic musical performance history which is available all year round. The sporting events available to see here are wide ranging including basketball and hockey, if you fancy something other than music alone to fill your evening. If you do see a show here then take it into consideration that there will be a large crowd and so it may be best to wonder to one of their bars until the crowd thins out. Part of the Palms Las Vegas the Pearl is more of an intimate experience for those music fans with more of a need for a close to the heart performance. It seats around 2,500 people which is still quite a big number thus it also holds some sporting events, its located off the main Las Vegas strip but, it is still wildly popular. It is worth noting that if you like a bit of a VIP feel to your evening then there are eighteen private boxes available and some semi-private ones for those a little less swish. Maybe it is a good place for those who might be enjoying a romantic evening seeing their favourite band maybe, or a small scale evening out. This is a place for those who aren’t a fan of massive crowds and a long wait at the bar; Napoleons is a lovely intimate setting and experience. There are two pianists that set the evening’s mood which starts at nine o’clock sharp every evening. The Pianists collective song book ranges through the past three decades of hits and will also play what audience members request. There is a large selection of champagne for those wanting an elegant and intimate experience. So if one would like a cosy and chic evening at an intimate lovely bar with a welcoming personality to enjoy live entertainment, Napoleons is the place to be. Located near Las Vegas’ Planet Hollywood, the Cabo is renowned for its unique setting which is inspired by the beach city of Carbo San Lucas. Here you can enjoy great food, an array of drinks and wonderful live music and if that isn’t enough there is always the celebrity karaoke hosted at Cabo every Friday and Saturday night. On Sundays there is a Mariachi band that helps keep an up-beat mood at brunch, if you consider having it. If all of that isn’t enough reason to get yourself there maybe the fact that there is a huge range of tequila available may change your mind. Located at the Hard Rock Hotel, just off the main Las Vegas strip you can expect great musical entertainment indeed. 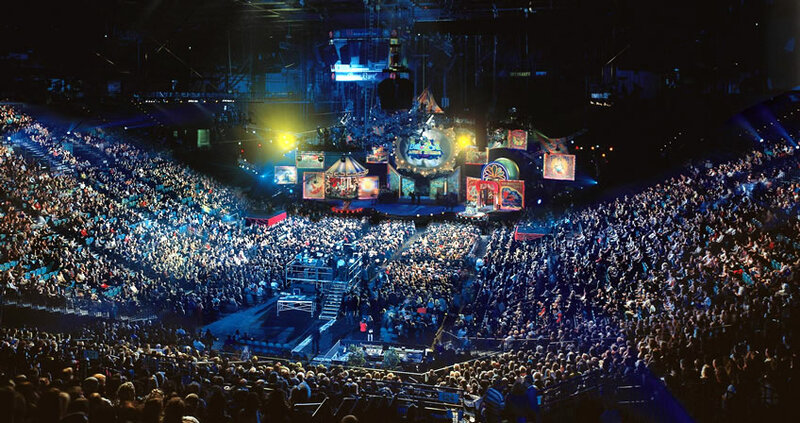 Usually a line up of music or sports entertainment is available; the venue itself holds up to 4,000 people so the crowd isn’t too small or too large. Renowned for its impressive sound system it isn’t difficult to believe that many of big named artists have taken the stage including Paul McCartney, Bon Jovi and Muse. You may also choose from general seating, seven VIP suites or a whole VIP level that is available for your pleasure.